Senior Congress leader P Chidambaram has alleged that the government was planning Income Tax raids at his residence in a bid to cripple the Lok Sabha election campaign. Former Union Minister and Senior Congress leader P Chidambaram have alleged that the government was planning Income Tax raids at his residence in a bid to cripple the Lok Sabha election campaign. He said the people of the country were watching and would give a befitting reply in the upcoming elections. 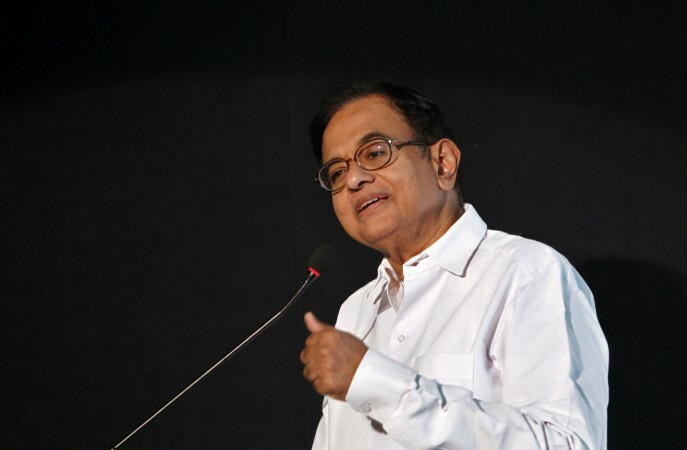 Taking to Twitter, Chidambaram said, "I have been told that the I-T Department has plans to raid my homes in Sivaganga constituency and in Chennai. We will welcome the search party." "The I-T department knows that we have nothing to hide. They and other agencies have searched our residences before and found nothing. The intention is to cripple the election campaign," he further stated. The former finance minister said the people are watching the "excesses of this government and will deliver a fitting lesson in the elections". Chidambaram's son Karti Chidambaram is contesting the Sivaganga Lok Sabha constituency in Tamil Nadu. He is facing charges of corruption and is out on bail. Tamil Nadu will go for polling in the second phase on April 18. The Income Tax Department on Sunday (April 7) launched pre-dawn raids at 52 locations, including in Delhi and Madhya Pradesh, against close aides of MP Chief Minister Kamal Nath and others on charges of tax evasion and hawala transactions. Around 200 officials from I-T department and state police swooped down on the premises at around 3 am and recovered undisclosed cash amounting to Rs 10-14 crore.